As you get older you don’t like to think that your parents are getting older as well, and maybe starting to need extra help. These are tricky times and a hard subject to approach with loved ones. If you and your partner are unable to care for them you may need to find other options. One of the better options is looking into care homes, there are many different types nowadays and they all cater for different stages of health and wellbeing. 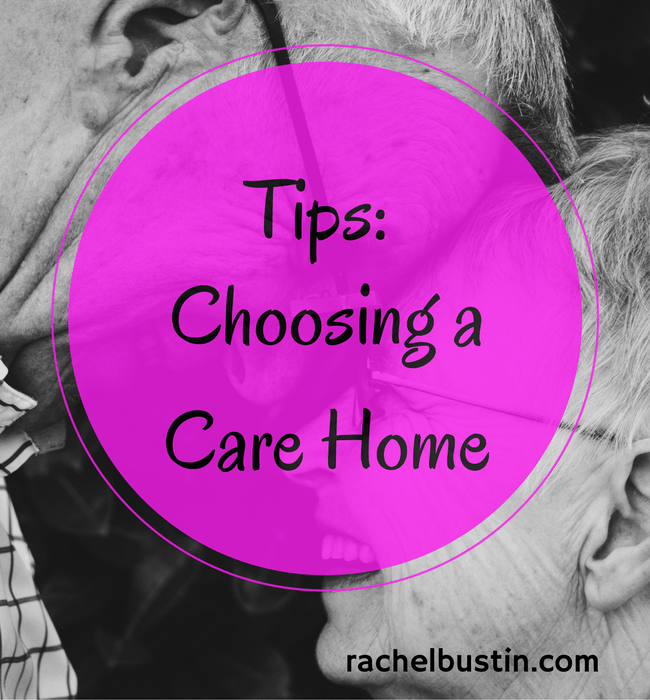 What do you look for in choosing a care home for your loved one? Decide what type of care home are you looking for – residential care, nursing care or dementia care? Location – Is it easy for relatives to go to visit? Environment – gardens, views, can the room be decorated to your liking? Are visitors allowed at any time or are there set hours? Can you have your own pet? What activities and entertainment are available? What facilities are there for people with mobility/hearing/visual disabilities? Of course nursing care homes are available for people who need that extra care, so some of the options above may not relate to their circumstances. These type of care homes are for people that have had a stroke so will need rehabilitative care, or people with physical disabilities and long-term illnesses. They have 24 hour nursing care available at all times if required. Residential care is designed for the elderly that still want their independence, but know that help can be on hand if needed. These type of care homes have lots of activities and a relaxed atmosphere. What ever you decide, make sure it’s the right care home for you and your loved one.